A new Eagles album has finally landed. And it's just like old times! Now that its deal with Garth Brooks has expired, Wal-Mart has forged an exclusive deal with the Eagles to carry Road at its properties (including Sam's Club). The irony? Don Henley's dad, a onetime auto-parts store owner, "despised big chains, the big guys, who eventually put him out of business," Henley told the Los Angeles Times earlier this year. Maybe that's why the band gave fans another option: The album is also available on EaglesBand.com. 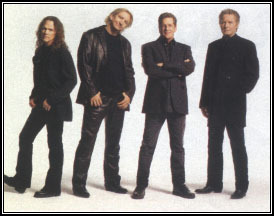 funny thing happened after the Eagles broke up in 1980: People started to miss them. A lot. Such was the intensity of the cosmic Eagles hunger that the band's 1971-75 hits collection has become the best-selling U.S. album ever -- an achievement that made the new-country rockers' reunion in '94 almost inevitable. Thirteen years after that frigid day in Hades (and the subsequent release, Hell Freezes Over, with its four new tracks), along comes Long Road Out of Eden, the group's first studio album since 1979's The Long Run. In truth, Road -- all two CDs of it -- is a sleekly enjoyable follow-up to Run. (Members of that last incarnation, minus guitarist Don Felder, appear here.) Except for references to cell phones or the current war, it's so sonically and lyrically in sync with the ol' Eagles oeuvre, the past quarter century may as well not have happened. 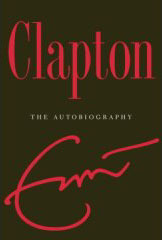 In a remarkably frank memoir, rock legend Eric Clapton recounts a life of experiences. Clapton says he told George Harrison he'd play the 1971 Concert for Bangladesh only if provided a steady supply of heroin. But Clapton experienced "cold turkey" on the eve of the shows when the smack turned out to be "a tenth as strong as what I was used to." ric Clapton's longest-standing nickname is "Slowhand" (if you don't count "God," as the famous graffiti in 1960s London had it). "Poker Face" would be a good one too. Clapton has always been the least demonstrative superstar in a genre not usually prized for its reserve -- the soulfulness of his guitar playing matched only by a personal dignity bordering on inscrutability. So there was no small intrigue in August when ex-wife Patti Boyd published an autobiography that included excerpts from the unbelievably florid letters Clapton sent her while she was still George Harrison's spouse, mash notes filled with passion and desperation merely hinted at in his song about their triangle, "Layla." 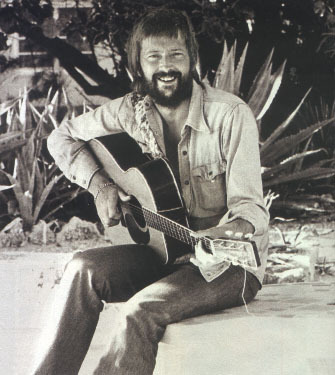 Perhaps, under that placidity, Clapton really was the most galvanic of rock gods after all. In the charming and surprisingly candid Clapton: The Autobiography, rock's most beloved ax-wielder does come off as a man of deep and profound feelings -- in the moments of clarity that accidentally transpire before he can get back to the smack (in the early '70s) or another bottle of booze (mid-'70s through the late '80s) or another gorgeous British bird (all of the above eras and then some). He's equal parts sexual aggression and emotional passivity, dogging a reluctant Boyd for years and then, once she succumbs, resenting her for the next decade-plus. (At a party celebrating their wedding, he hid in a cupboard, waiting to spring out and seduce one of his new bride's friends... but passed out and spent the night there.) Passages dealing with the tragic 1991 death of his son, Conor -- who was momorialized in "Tears in heaven" -- are less harrowing than you'd expect, if only because Clapton seems a little too detached in his then-new sobriety to deal much with his grief. Finally, after noting that he made a bed for the first time in his life in the '80s at the rehab center Hazelden, Clapton allows that he never had to grow up till fairly recently, and you sigh with relief: He does get what we've understood for the last 300 pages.